I need to ask something, I have this screen non-stop, when I’m trying to connect to the server… I have connection, otherwise I even can’t open a webpage… Does any issue about the server? The servers were down indeed due to some technical issues. Join the Curve Fever Discord Server! 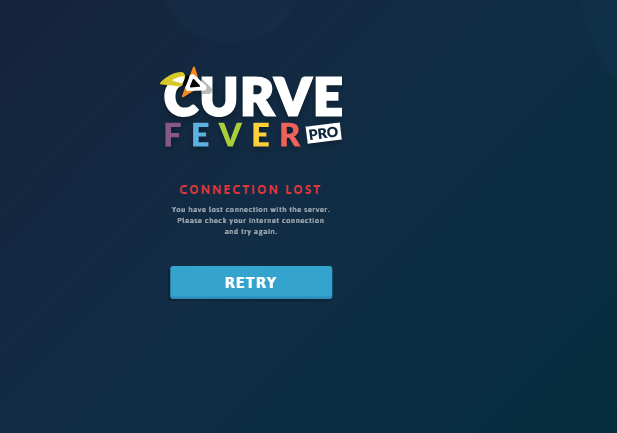 Check out the Curve Fever community on Discord - hang out with 5,175 other members and enjoy free voice and text chat.